In its earliest days in the 1970s, UWGB was generating national buzz as an innovative university. There was one critical area, though, where being different would be difficult: Dorms. Other colleges and universities had them. UWGB didn’t. 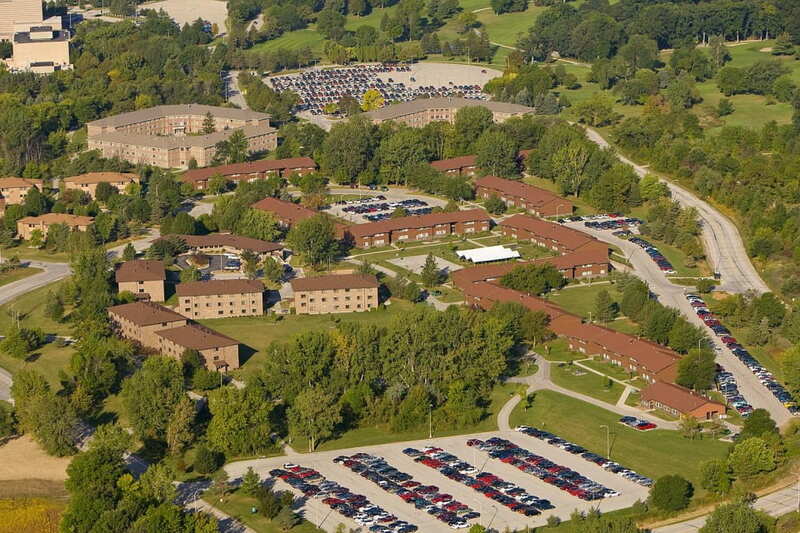 In 1970, a private developer opened the Bay Apartments on Circle Drive land not yet owned by the University. The nine buildings were often less than their 540-bed capacity and not fully accepted by parents of high schoolers who anticipated supervised halls and meal plans. The state refused to fund dorms, killing off several UWGB proposals because some dorms at other campuses were sitting empty. In 1984, UW-Green Bay announced its first capital campaign, headed by co-chairmen Donald J. Long and James A. Temp. The $2.2 million drive yielded the upfront money for a loan that could be used for construction of the University’s first four residence halls, housing 240 students. 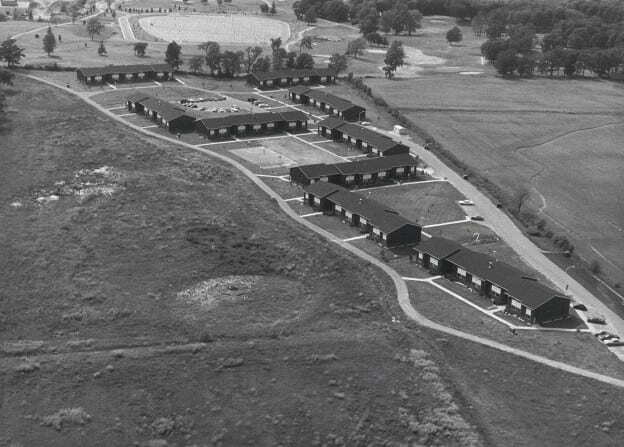 The key piece was University Village Housing, Inc., a limited-purpose foundation formed by Donald Harden, Jack Robishaw and others specifically to build campus housing. Freed from state restrictions, builders could offer reasonable rents yet nicer amenities — a private bathroom for every two-person room — that gave UWGB’s Residence Life complex a competitive advantage. Overall campus enrollment grew significantly. Today’s on-campus population is nearly 2,100. This entry was posted in Phoenix Phactoid and tagged facts, housing, trivia on August 27, 2015 by Christopher Sampson.